Mehrangarh Fort is also known as “Mehran Fort” located in Jodhpur, Rajasthan. The foundation of the Mehran fort was decided on 12 May 1459 by Rao Jodha on a rocky hill 9KM to the south of Mandore. 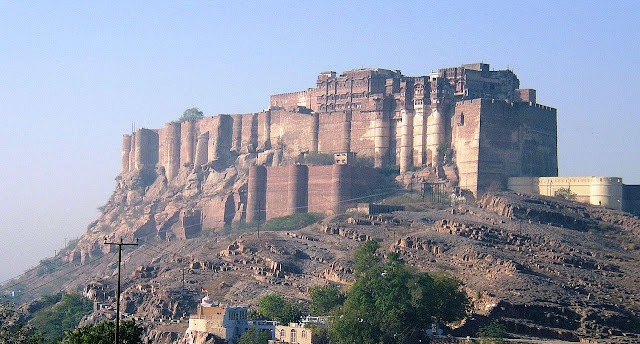 Rao Jodha, previously known as “Marwar” founded Jodhpur in 1459. He was one of Ranmal's 24 sons and became the 15th Rathore ruler. The fort rising perpendicular and impregnable from a rocky hill that itself one of the most magnificent forts in India. 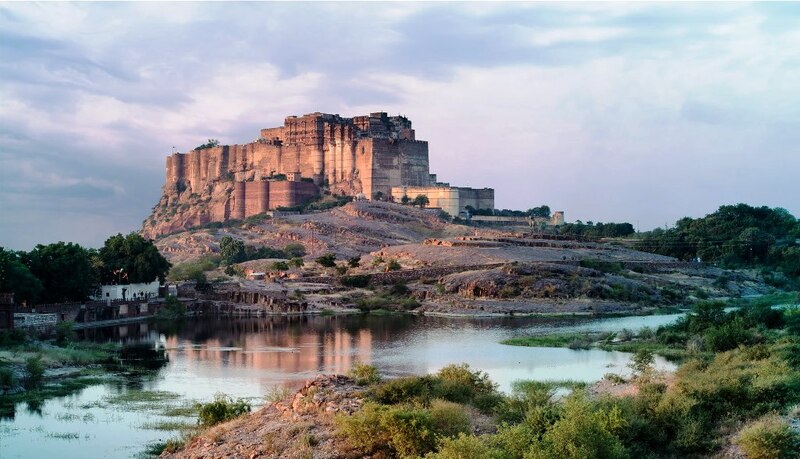 Still run by the Jodhpur royal family, Mehrangarh is packed with rich history and legends. Mehrangarh though the fortress was originally started in 1459 by Rao Jodha, founder of Jodhpur, most of the fort which stands nowadays dates from the period of Jaswant Singh of Marwar (1638–78). The fort is located at the centre of the city spreading over 5 kilometers on top of a high hill. Its walls, which are up to 118 feet high and 69 feet wide, protect some of the most gorgeous and historic palaces in Rajasthan. 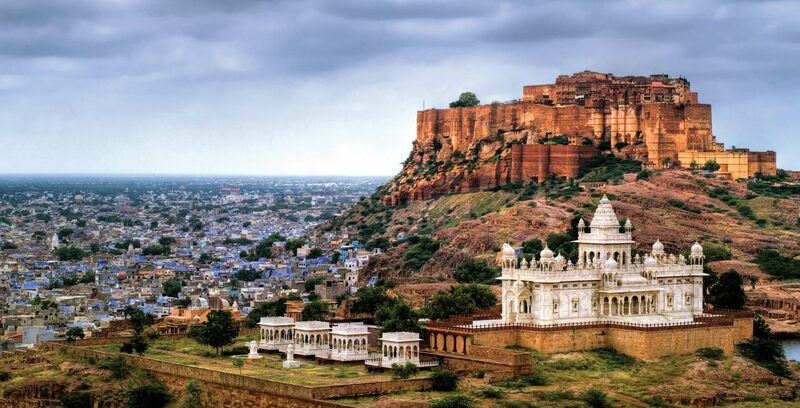 Further, the striking silhouette of the Mehrangarh fort against the stunning clouds at Jodhpur offers great view. 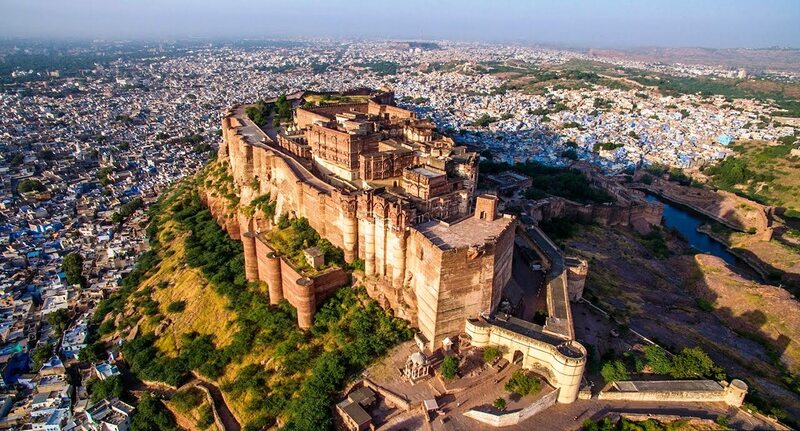 Mehrangarh Fort built around 1460, situated 410 feet above the city and is enclosed by striking thick walls. Mehrangarh Fort is one of the largest forts in India, as inside and its boundaries are numerous palaces famous for their intricate carvings and extensive courtyards. There’s a museum in Mehrangarh Fort, one of most admired stocked museums in Rajasthan. 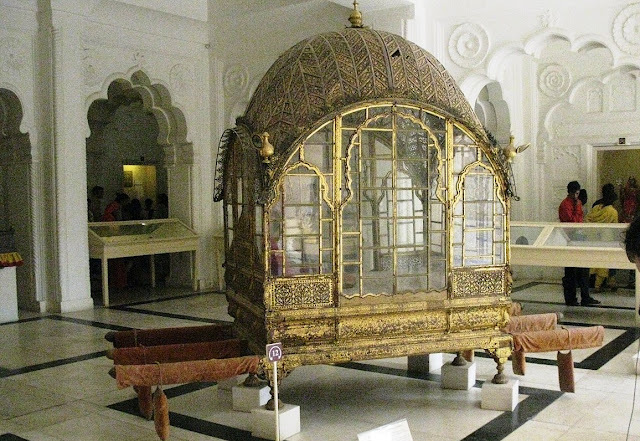 In one section of museum, selection of old royal palanquins, including the elaborate domed gilt Mahadol palanquin which was won in a battle from the Governor of Gujarat in 1730. Moreover, the museum exhibits the heritage of the Rathores in arms, costumes, paintings and decorated period. 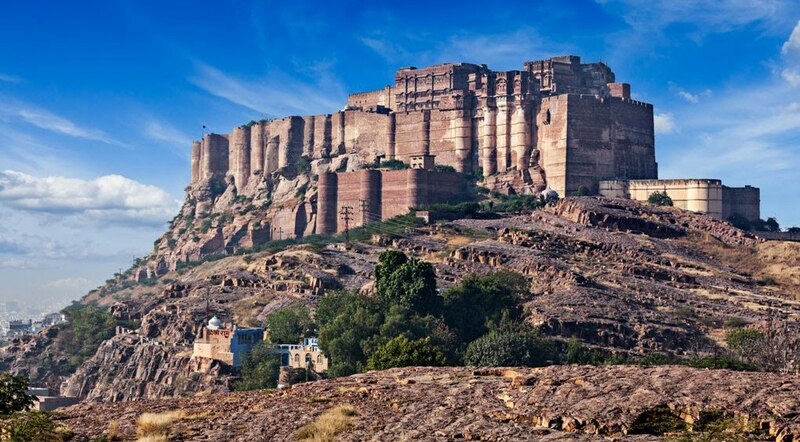 Moreover, on the left side of fort, a chhatri of Kirat Singh Soda, a brave solider who fell on the spot defending the Mehrangarh Fort.? 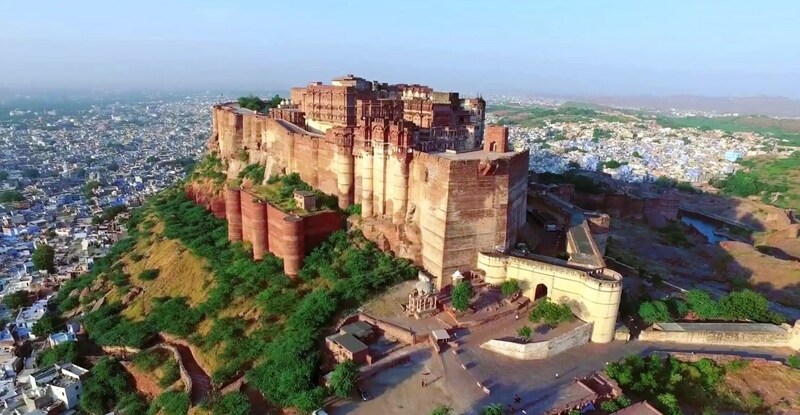 Mehrangarh Fort holds the pride of place in Jodhpur because of its impressive architecture and the diverse history accompanying with it. 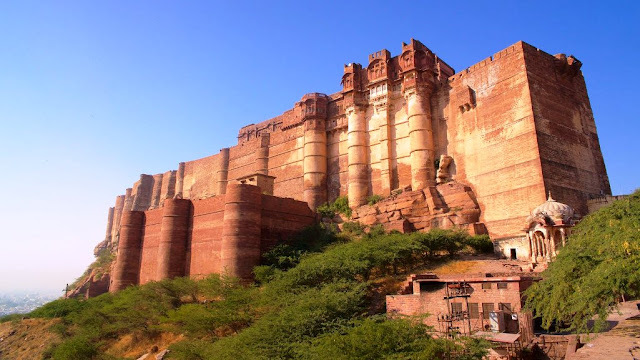 Moreover, entry to the fort is gained through a series of gates, thus there are seven famous gates, among them the most famous are “jayapol” built by Maharaja Man Singh in 1806, “Fattehpol” built by Maharaja Ajit Singh built to celebrate the victory over Mughals in 1707, “Dedh Kamgra Pol” which still bears the scars of bombardment by cannonballs, and “Loha Pol”, which is the final gate into the main part of the fort complex. The imprints of the impact of cannonballs fired by attacking armies of Jaipur can still be seen on the second gate. 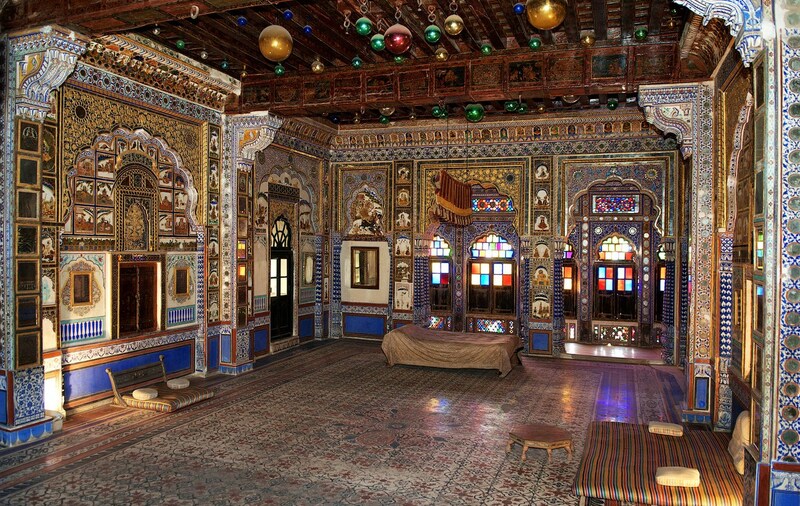 Within the fort there are several dazzlingly crafted and decorated palaces. These include Moti Mahal, Phool Mahal, Sheesha Mahal, Sileh Khana, Daulat Khana, Rang Mahal, Chandan Mahal and Maan Vilas are exquisite splendors. The fort museum houses a rare collection of palanquins, howdahs, royal cradles, miniatures, musical instruments, costumes and furniture. The ramparts of the fort house preserved old cannon, and provided a breath-taking view of the city. 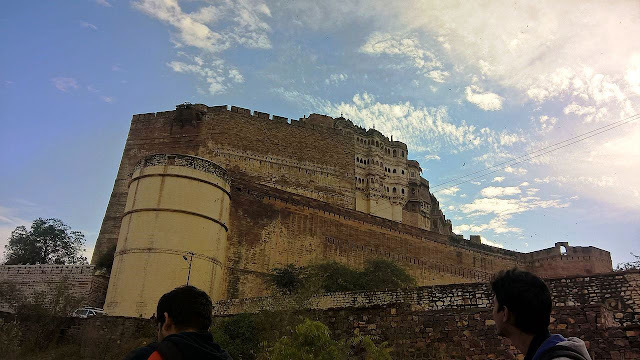 The fort also encloses the Mehrangarh Fort Museum, exhibits all of the historical things, like the royal palanquins, miniature paintings, furniture, and historic armory etc. Mahadol, the Palanquin is mostly covered with gold and silver embossed sheets, which were fastened onto the elephant's back. Palanquins were most popular means of travel and circumambulation for the ladies of the nobility up to the second quarter of the 20th century. They were also used by male nobility and royals on special occasions. Daulat Khana - Treasures of Mehrangarh Museum gallery displays one of the most important and best preserved collections of fine and applied arts of the Mughal period of Indian history, during which the Rathore rulers of Jodhpur maintained close links with the Mughal emperors. It also has the remains of Emperor Akbar. Moreover, rare collections of armour are displays i.e., sword hilts in jade, silver, rhino horn, ivory, shields studded with rubies, emeralds and pearls and guns with gold and silver work on the barrels. Also some personal swords of numerous emperors, among them outstanding historical piece like the Khaanda of Rao Jodha, weighing over 3 kg, the sword of Akbar the Great and the sword of Timur. 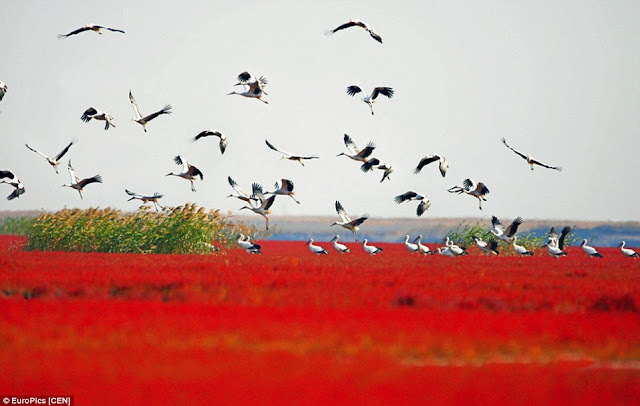 There’s a gallery displays colors of Marwar-Jodhpur, the finest example of Marwar paintings. One of Turban Gallery in the Mehrangarh Museum seeks to preserve, document and display the many different types of turbans once prevalent in Rajasthan; every community, region and festival having had its own head-gear. Jodhpur is well-known for its warm climate and its location of being right at the edge of the Thar Desert, and with the number of amazing things to see and do in this city; you just can’t miss the prominence of Mehrangarh Fort. The Fort has been declared a unique geological location by National Geological Monument by the Geological Survey of India to encourage Geotourism in the country. Thar Desert region, spread over an area of 43,500 km2 represents the last phase of igneous activity of Precambrian age in the Indian Subcontinent. Rao Jodha Desert Rock Park spreads over 72 hectares, adjoining Mehrangarh Fort. The park contains ecologically restored desert and arid land vegetation, distinctive volcanic rock formations such as rhyolite, with welded tuff, and breccia, sandstone formations. Nowadays, it is acknowledged as one of the best preserved fort in India. You don’t need a ticket to enter the fort itself, only the museum section. The fairy stones of Harrican river have seen in the past that concretions the precipitation of minerals around particles generally take spherical or oval shapes, as in the case of Klerksdorp Spheres and Moeraki boulders. Because pearl is another good example of concretions, can also take rare shapes. 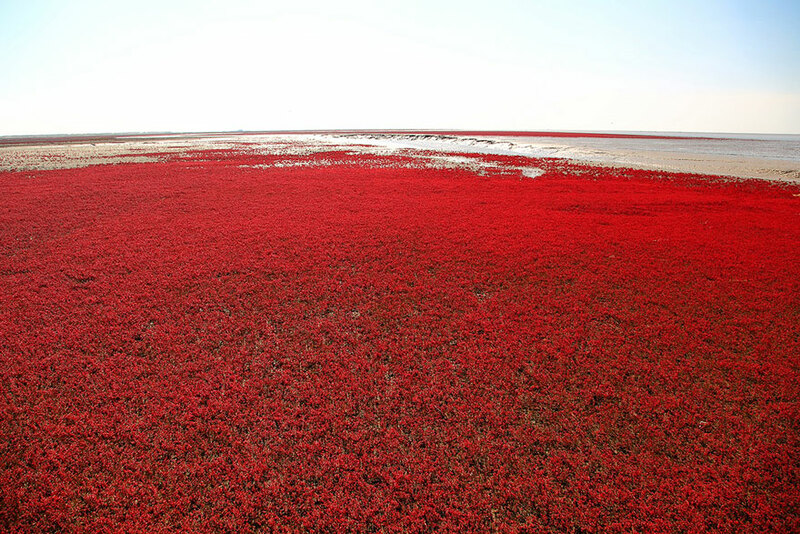 They are made of fine sand and clay, solidified by nature. 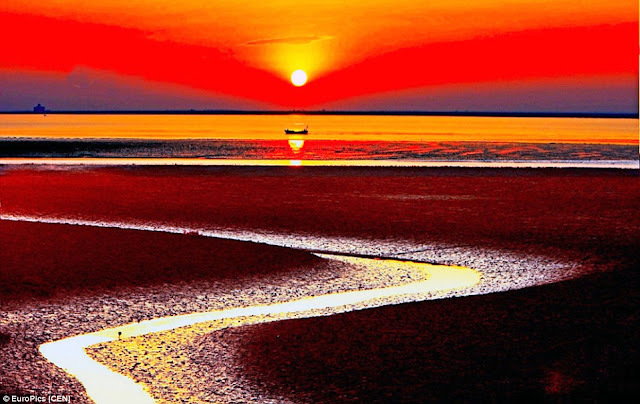 The originality and the forms of these stones are a phenomenon unique to Northern Quebec, particularly on the bottom of the big Lakes with a glacier origin. In the Harricana River valley in the Abitibi-Témiscamingue administrative region of Quebec, Canada, concretions occur as flat discs, smooth on one side and puffed up on the other with stunning patterns. They were shaped over thousands of years by deposition of calcium carbonate over trifling pebbles and fossils. This is called “Fairy Stones” since hundreds of years, and used to carry them as fortunate charms when they went on fishing or hunting expeditions. The irregular lines on the stones are caused by the traces left by miniature worms or organic remains which were fossilized thousands of years ago. It is believed that wearing a Fairy Stone would protect them against bad spirits and bring them good prosperity and health. However, geologists believe that Fairy Stones may have formed under a glacier, which recoiled thousands of years ago. 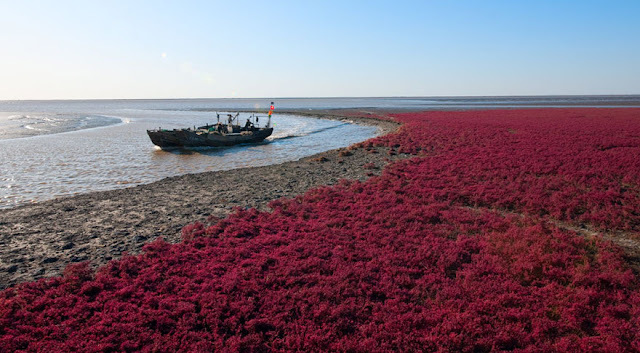 Then they were carried by the water and deposited along the shores of certain lakes and rivers. Hence, one of the main rivers where Fairy Stones are found is the Harricana River, the second longest river in Canada. 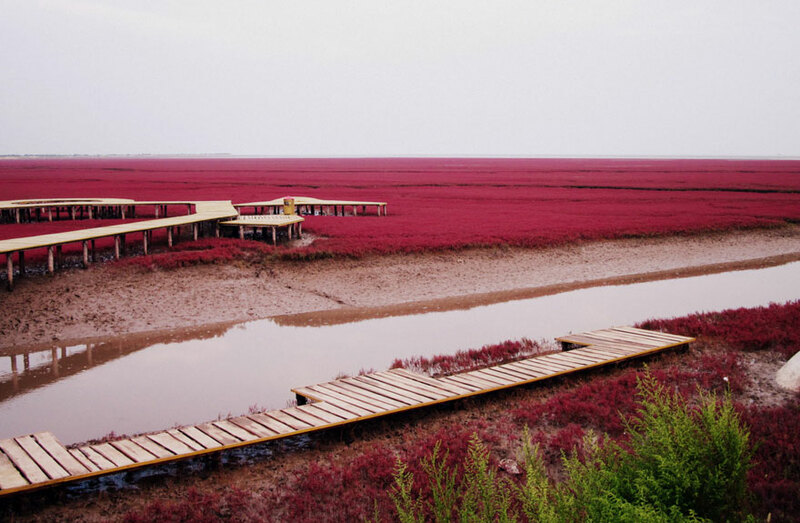 The name "Harricana" came from the Algonquin word Nanikana, which means “the river of biscuits” Biscuit refers to the unusual flat stones, sand, limestone and clay concretions, which are found in the river, called Pierres de fée or "fairy stones. A less romanticized version says Nanikana means "the main way". These stones are frequently found in soft deposits under clay. The rounded, puffed up shapes come from the growing face that is face down in the clay, whereas the tops are weathered even by the retreating glacier and water. These are lying in the mud, they look like normal flat stones, but turn them over and you will amazed to see many different shapes and formation, as each Fairy stone is unique. These stones have been valued for a long time by the native community that lives around these stones birthplace. 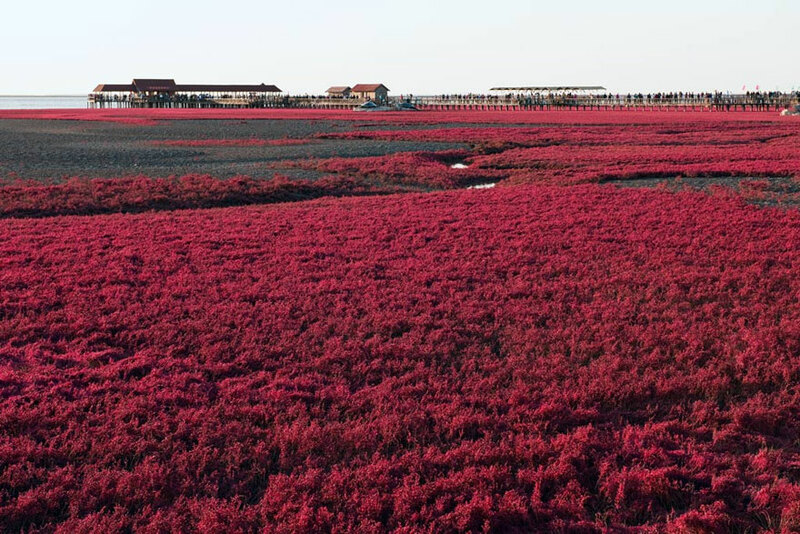 These stones have a strong link to the nurturing energies of the earth mother. It can help teach you to care and have concern for the planet and all those upon it. Race Course or Jilani Park is one of best Park you would ever visit. Here you can see a great manmade waterfall, pouring water from some distance. 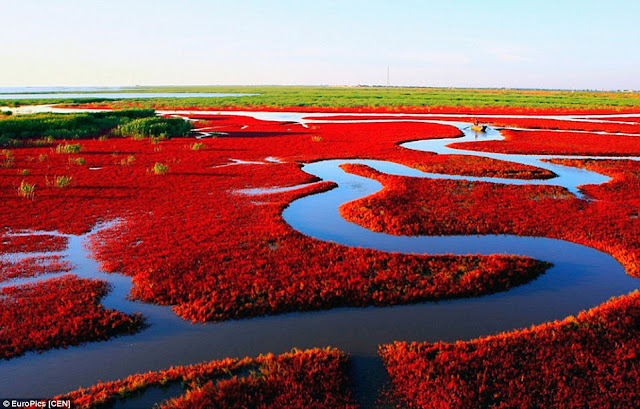 Peoples love to see this amazing fall with his family and friends. Every day myriad crowds visit this fall, and takes selfies and capture the memorable moments. Here you can some of best shots i took there. The first question comes in our mind why the water pouring out from this tree in Montenegro? A unique natural phenomenal video shared by Radio Free Europe/Radio Liberty in a village named “Dinoša”, located in southeastern Montenegro a small country on the Adriatic coast. The mulberry tree standing in the meadow there that turns into a fountain whenever it rains heavy. From a hollow on the tree trunk water can be seen gushing abundantly. Although, actually, the rains had flooded the underground springs and the extra pressure formed pushed water up the tree trunk through cracks or hollows on the trunk, until it poured out of a hole a few feet above the ground. In the video, one can easily see, that ground is quite sloppy signifying the amount of groundwater there is in the soil and below. You can also see water gurgling out of other holes in the meadow. The entire area is flowing like a small stream. As per locals, this natural wonder is happening from more than 30 years or so. The estimated life of tree is more than 125 years old. Whereas Montenegro’s tree fountain is certainly unique, it isn’t the only example of water gushing out of the ground after rains. In the Estonian village of Tuhala, there is an exclusive well that starts spouting water after a heavy downpour. The well happens to be placed just over an underground river. Thus, after heavy rain water floods the river, water pressure builds to the point that it shoots up out of the well, every so often up to half a meter high. This cycle continues last for a few days. Therefore, during this time, more than 105 liters of water can flow out every second. The local peoples says, that is the witches of Tuhala gather in the sauna underground and beats each other vigorously with birch branches causing water to pour out on the surface. They call it the Witch’s Well. 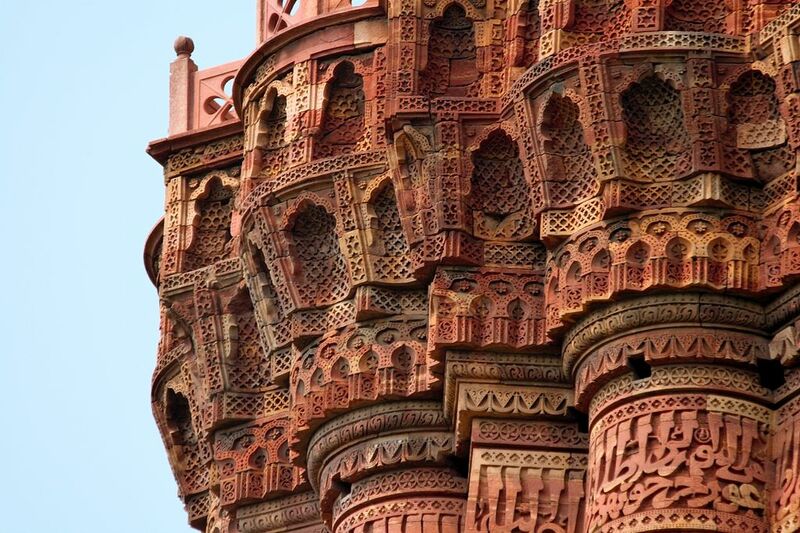 A 73 meter tall, 14.3 meters base diameter Qutub Minar is forms in the Mehruali Area of Dehli India. 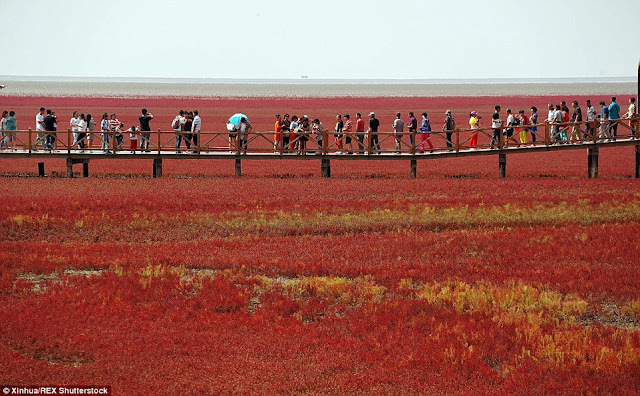 The UNESCO world heritage site tilts just over 65 cm from the vertical contains spiral staircase of 379 steps. The five storeys tall tapering tower design have been based on the Minaret of Jam, in Afghanistan. 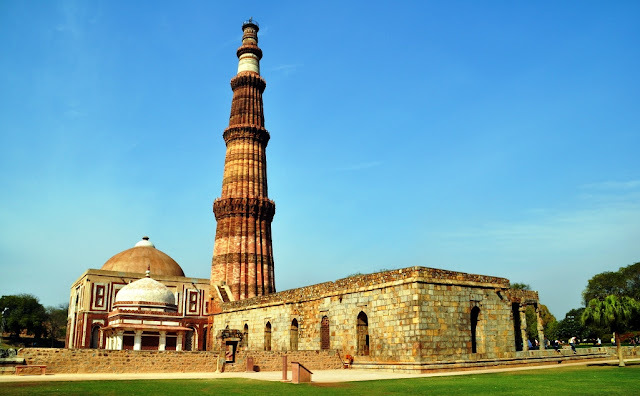 The Qutub Minar is a minaret which laid the foundation of Minar were started by Qutub ud Din Aibek around in 1192, however his son in law Shams ud din Iltutmish finish the Minar in 1220. 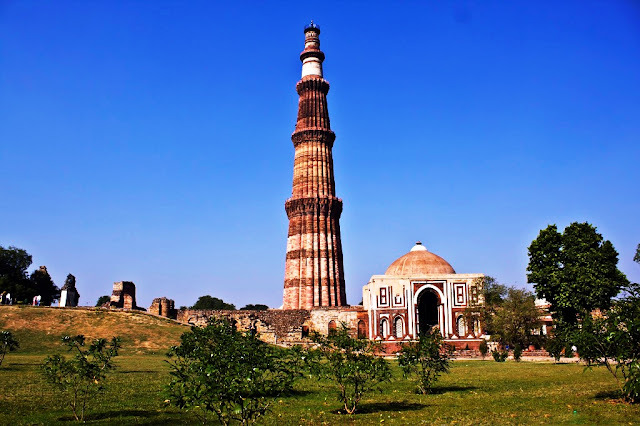 The minar stood stand another 149 years, after massive lightning strike damaged the top storey, which were replaced by Firoz Shah Tughlaq in 1369 and added one more storey. Another Muslim ruler Sher Shah Suri also added an entrance to this tower while he was ruling and Humayun was at an exile. 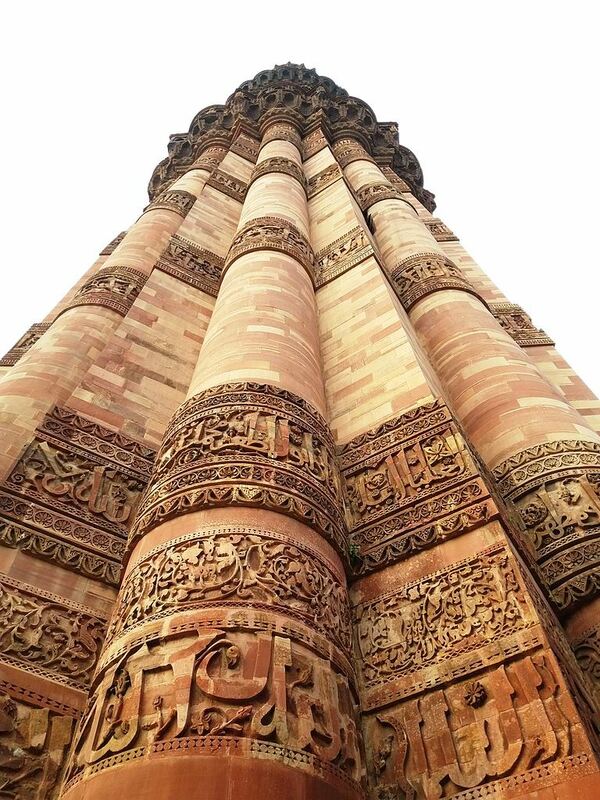 Moreover, several inscriptions in Parso-Arabic and Nagari characters in different sections of the Qutab Minar reveal the history of its construction, and the later restorations and repairs by Firoz Shah Tughluq (1351–89) and Sikandar Lodi in 1489–1517). 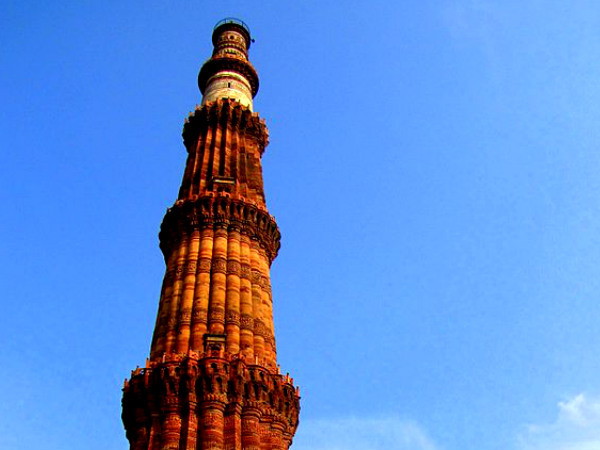 The Qutub Minar name is actually derived from the Sufi saint Qutbuddin Bakhtiar Kaki whom Qutab Ud-Din-Aibak revered. 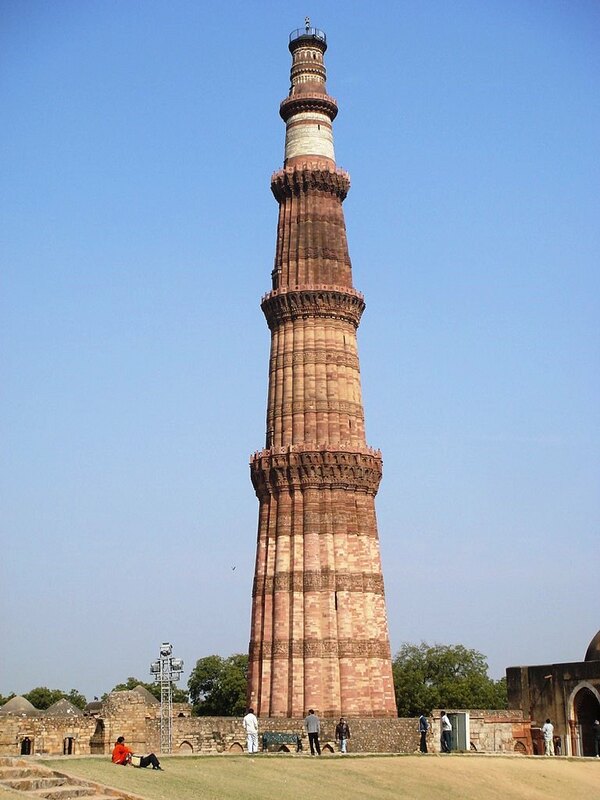 On 1 September 1803, a massive earthquake caused serious damage to Qutub Minar. Major Robert Smith of the British Indian Army renewed the tower in 1828 and installed a pillared cupola over the fifth story, thus creating a sixth. The tower was built to celebrate Muslim dominance in Delhi after the defeat of Delhi’s last Hindu ruler. 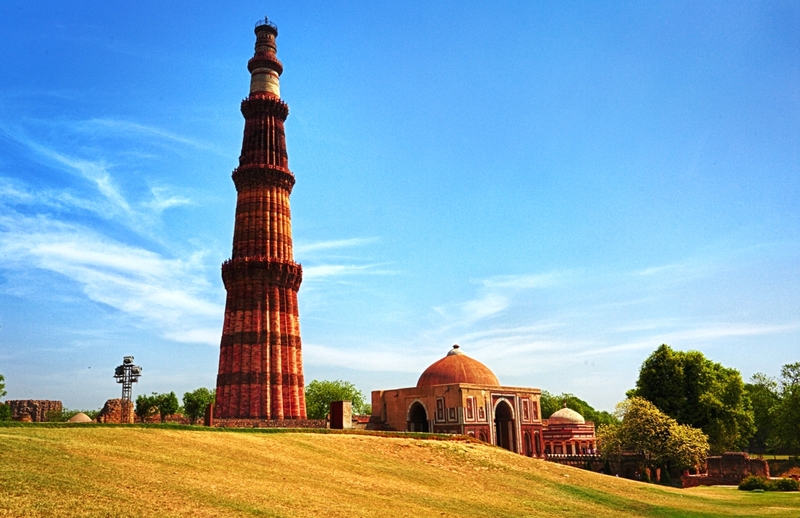 The Qutub Minar is the highest tower in India. 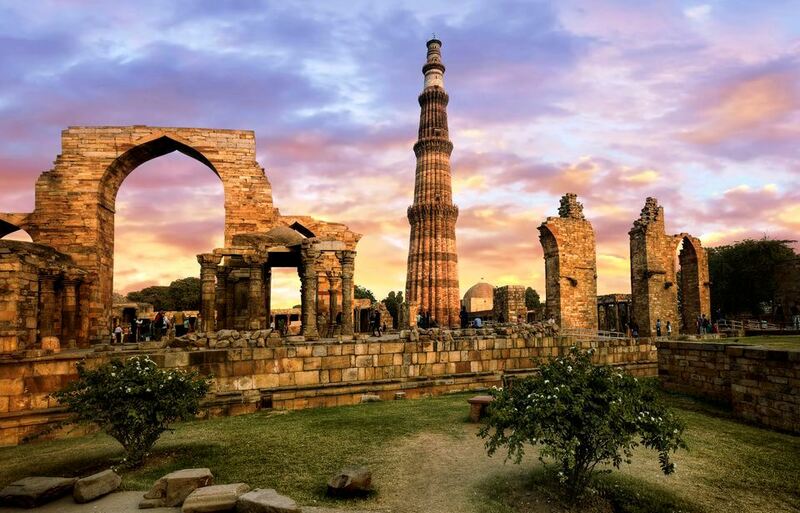 A noteworthy image of Qutub minaret is featured on the travel cards issued by the Delhi Metro Rail Corporation, in collaboration with the Archaeological survey of India has made a 360o walkthrough of Qutab Minar available. The site served as the pit stop of the second leg of the second series of The Amazing race Australia. The general public was allowed to go upstairs of minaret, but unluckily a chaos was happened in 1981, when internal staircase lighting failed, which in results of massive stampeded towards the exit and 45 people were killed in crush and few injured. Since then Qutub Minaret has been closed for public. The Qutube MInar is surrounded by many historical monuments of Qutab Complex, Quwwat-ul-Islam Mosque “established in 1192 by Qutab-ud-din Aibak, first ruler of the Delhi Sultanate”, Alai Darwaza, Alai Minar, Ala-ud-din Madrasa and much older iron pillar of Delhi made up of 98% wrought iron and has not rusted till date. Moreover Ala'i Minar which stands to the north of Qutub-Minar, was commenced by Muslim ruler Alau'd-Din Khalji, with the intention of making it twice the size of earlier Minar. He could complete only the first storey which now has an extant height of 25 m. Ala'i-Darwaza, the southern gateway of the Quwwat-ul-Islam mosque was constructed by Alau'd-Din Khalji in 1311 as recorded in the inscriptions engraved on it. This is the first building employing Islamic principles of construction and ornamentation. Qutub Minar has been counted as the highest brick tower in the world enthralled by the huge structure that withstood all tests of time. Some believes that this prodigious architectural structure was built to propound the prominence of the Islam religion, however many had the notions that that was built for defensive purpose. The Qutub Minar first three storeys comprise fluted cylindrical shafts or columns of pale red sandstone, parted by darker red sandstone flanges and by storeyed balconies, carried on Muqarnas corbels. However the fourth column is of marble, and is relatively plain. The 5th is of marble and sandstone. The flanges are engraved with Quranic texts and decorative elements. 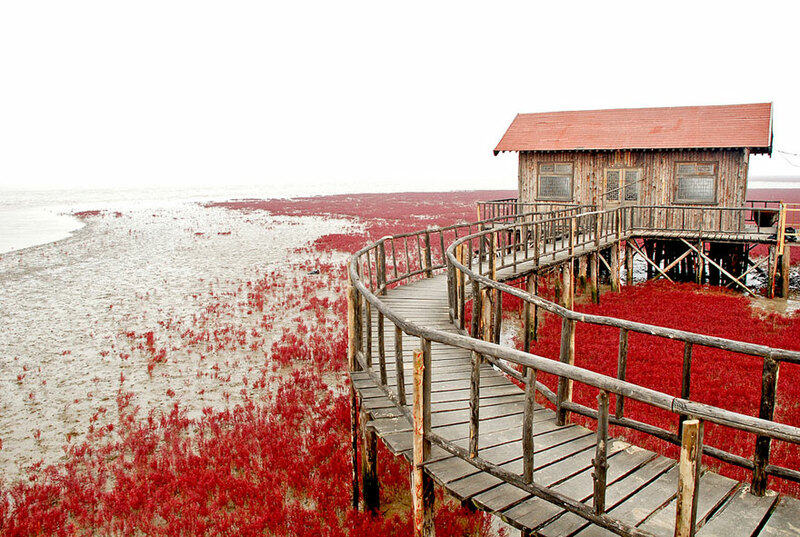 The whole tower is considered to be within safe limits, although experts have stated that monitoring is needed in case rainwater seepage further weakens the foundation. 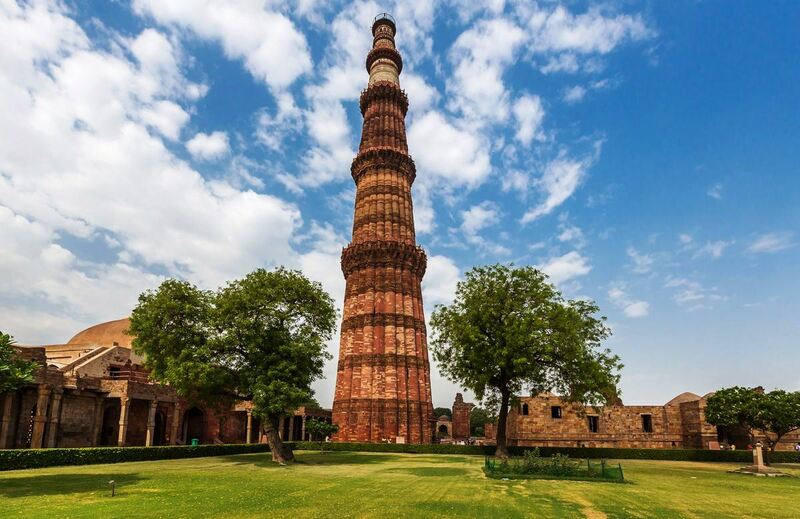 Apart from the tower, a 7 metre high iron pillar, the tomb of Iltutmish, Ala’i-Darwaza and the Ala’I Minar. 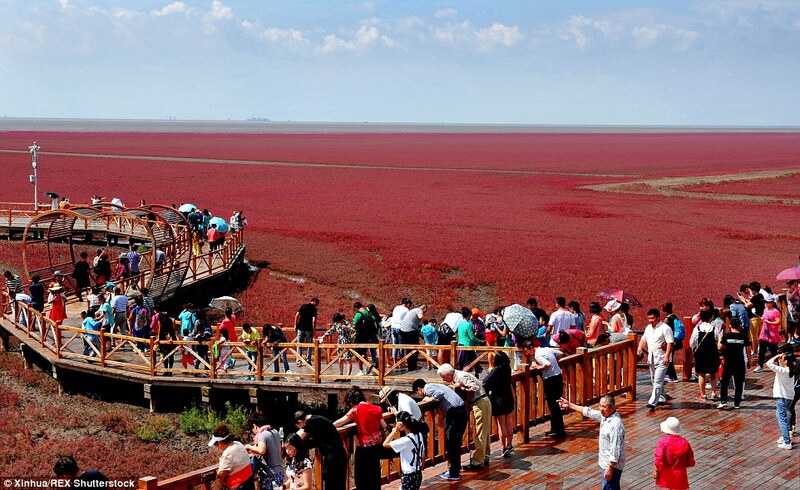 This tall majestic structure is visited by thousands of travelers every year from all over the world. The best time to visit Qutub Minar is spring season, when the climate is pleasing and it is the tourism season of the country. 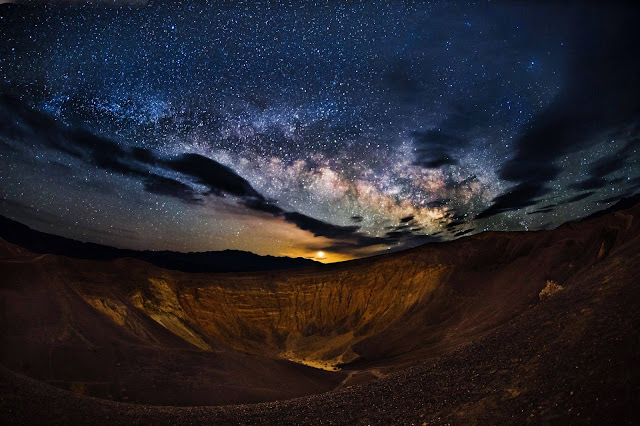 In the Death Valley, you can find a large volcanic crater “Uhehebe” located at the north trip of Cottonwood Mountain. It is one of the many unique geologic features of Death Valley, which is believed, somewhere 2000 to 7000 years old. The Uhehebe Crater is one kilometer wide and 777 feet deep. 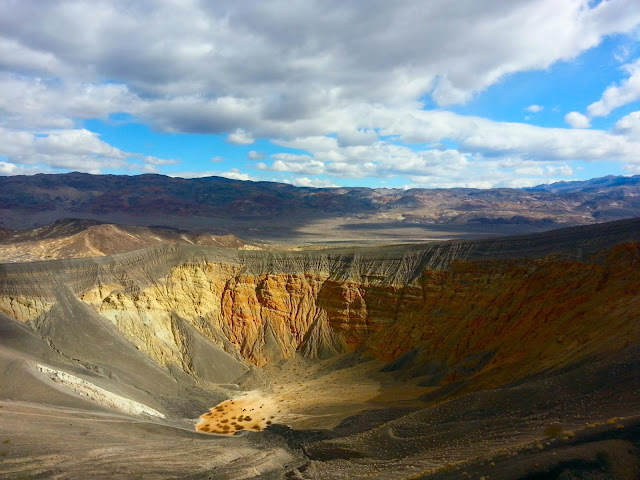 Ubehebe Crater is a maars volcano. 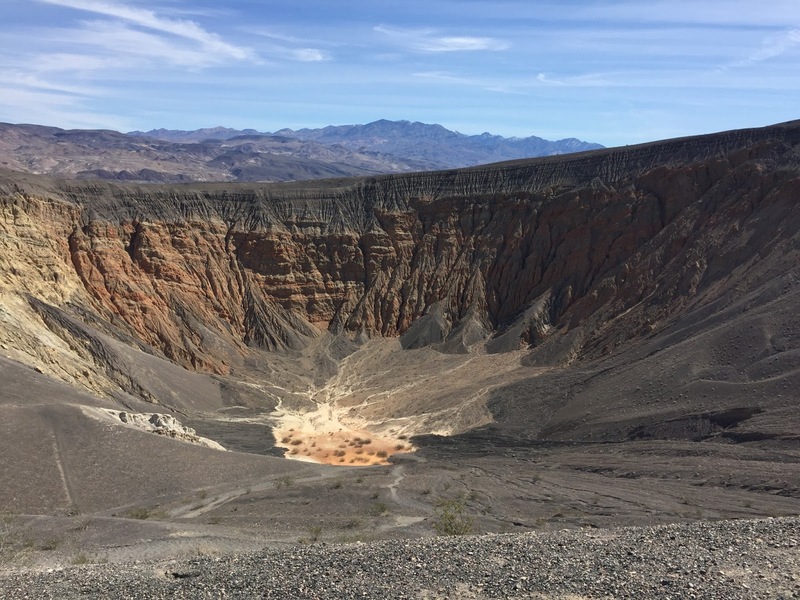 The formation was made when magma migrated close to the surface and heat caused groundwater to flash into steam, tossing massive quantities of pulverized old rock and fresh magma across the stony alluvial fan draped across the valley. However, the western cluster of Maar volcanoes was the first to form, then the southern cluster, followed by Ubehebe the largest of them all possibly 300 years ago. 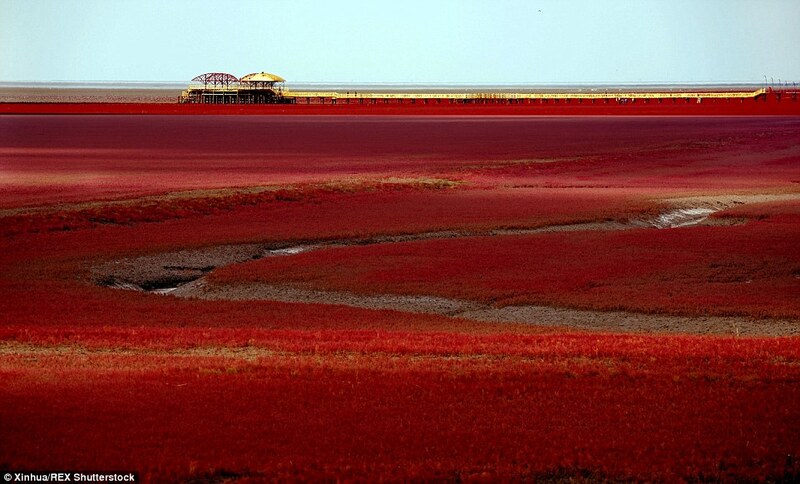 During the eruption, volcanic material in the form of ash and cinders was thrown out six miles from the craters. 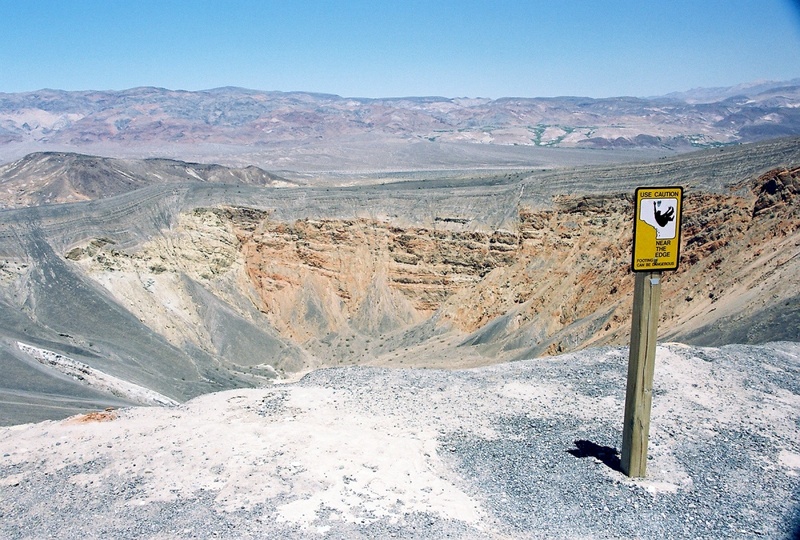 The Ubehebe Crater is known as "Tem-pin-tta- Wo’sah", meaning Coyote’s Basket. 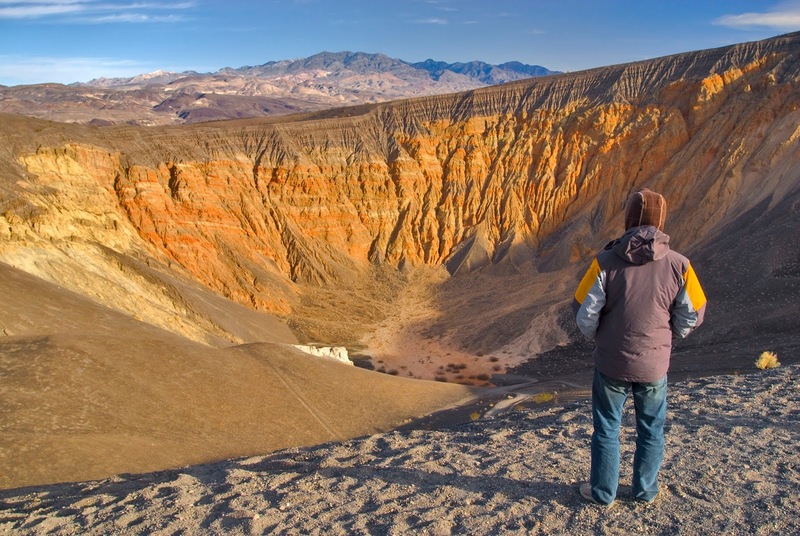 Furthermore, the colorful layers in the crater’s eastern wall are “fanglomerates” is an alluvial fan deposit hardened into rock. Sandstone and conglomerate, loosely cemented together by calcite make up this conglomerate and most of the pieces of rock are either volcanic or metamorphic. Hence, water erosion created the deep gullies that you see on the crater’s east side. The pink and brown mud flat at the bottom of the crater is the site of many short-lived lakes. 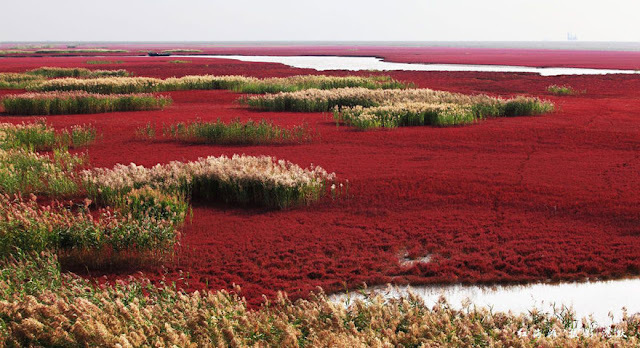 At least a dozen craters are located within an area of 3 sq km, and bedded pyroclastic-surge deposits cover an area of 15 sq km. In this area volcanic soil is rich in nutrients and wildflower like Bigelow Monkeyflower absorbs heat, tend to bloom very early here, even in the late winter months, you might see some spring flowers early. Moreover, winds at the rim of “Ubehebe” are very powerful and often gust above 50 mph, thus it is an easy walk and you can relish the stunning landscapes. 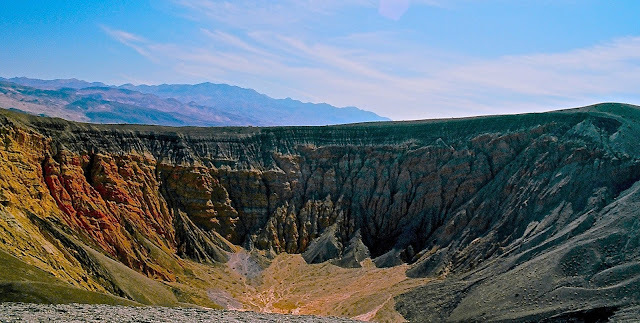 Three major trails leads you to crater, one is start from parking area to bottom of Ubehebe, second is circumnavigates the crater rims, and third trail is leads off to little Hebe. 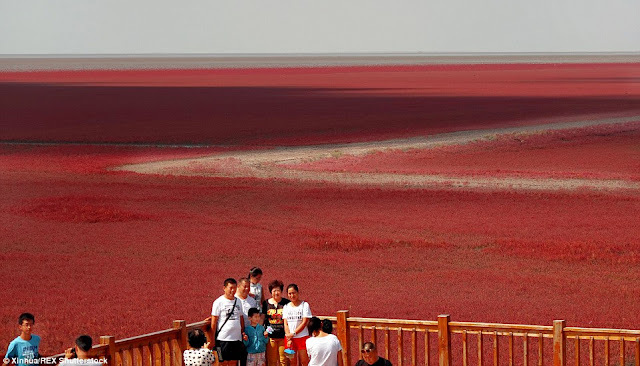 Hence, the past 7,000 years, erosion has been creating deep crevices and fascinating patterns on the inner crater walls and they are at their most dramatic when the sun is low in the sky. 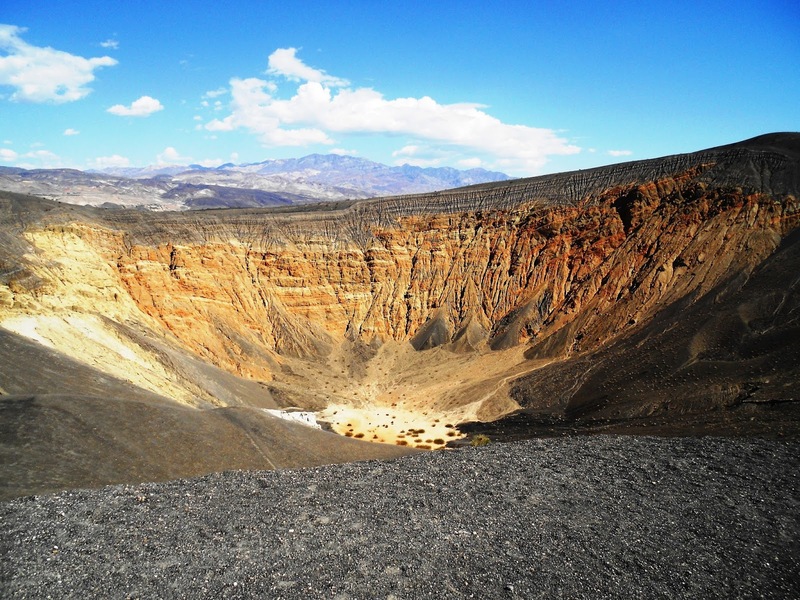 It is highly recommended to view the crater is when the sun is low in the sky in the morning or late afternoon. This amazing crater is impossible to describe in a way that does it justice. 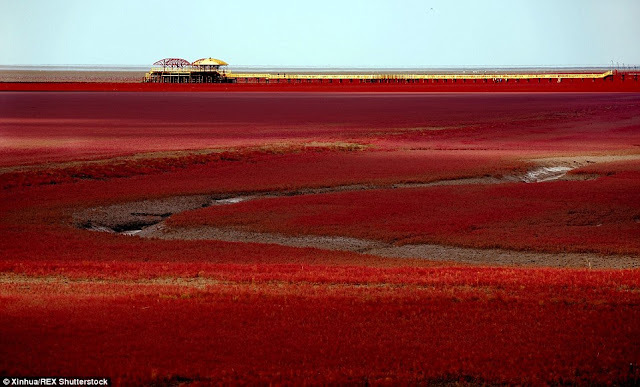 The depth and breadth is staggering, as the colors varied and beautiful. 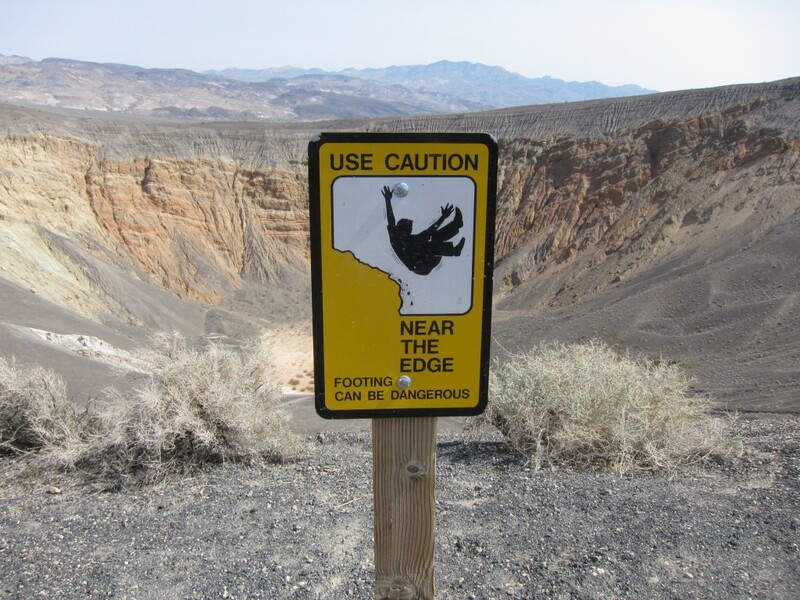 When you visit Ubehebe crater please be sure, you must stay on the trail since the crater rim and adjacent gullies are composed of very fragile material making them unstable and dangerous.